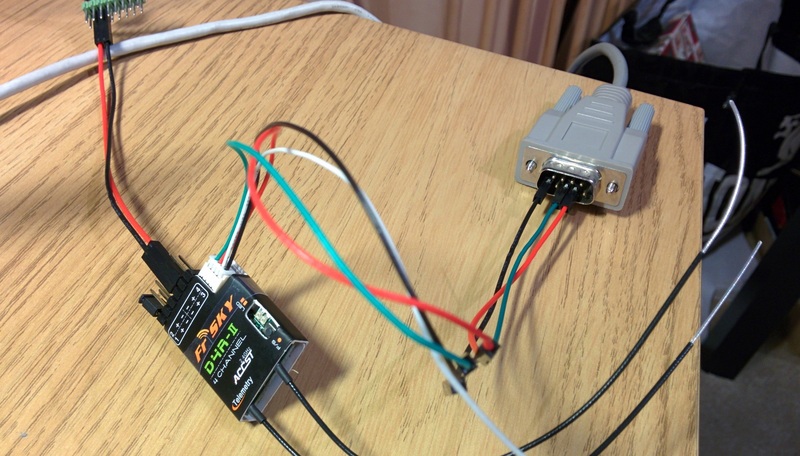 I thought I had a suitable FTDI device which allows you to flash it without buying an official FrSky adapter. There are available online instructions on using the FTDI device to upgrade the D4R-II and for using the FTDI device on an arduino board. 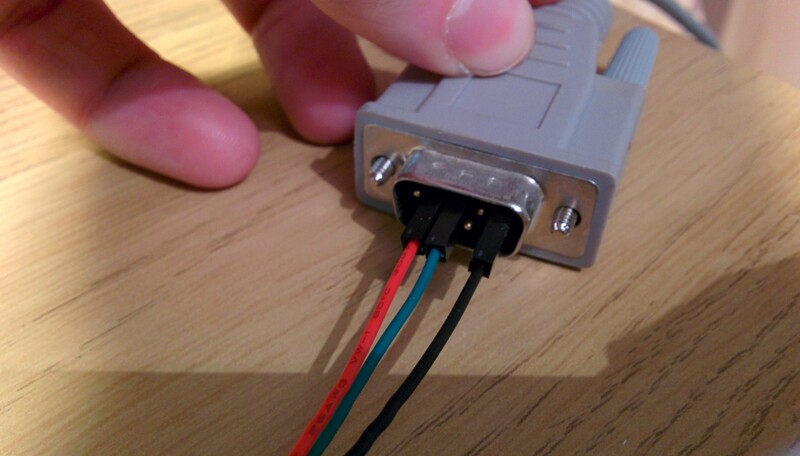 Sadly the FTDI device I had didn’t support inversion of the RX/TX lines, but I do have an old school RS232 port on my desktop PC! 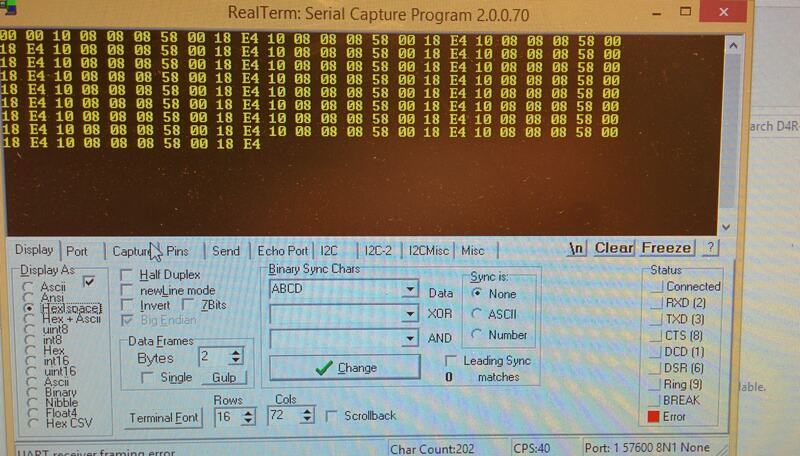 It turns out you can use this old school RS232 COM Serial port to upgrade your D4R-II receiver. Connect power to the power pins of the receiver (marked +/-). I got this from my quadcopter ESCs via the Naze FC board. Now you should be able to follow the instructions for upgrading from FrSky by getting the UID and downloading the new firmware. I had a bit of trouble in Windows 8.1 using the FrSky software until I ran using the ‘run as administrator’ option in the right-click menu. This seemed to enable it to work (presumably so it can use the serial port!). 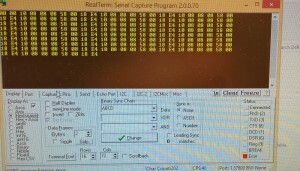 Finally a thank you to the rcgroups post on upgrading the D8R-II with a serial COM port for inspiring this! These were manually extracted by listening to the communications between a normal Max!Cube and various devices using a CUL USB dongle and my OpenHAB binding plug in which allows you to enter a ‘listen’ mode to output the messages in a human readable format. The article explains how to access MetOffice Observations in OpenHAB via the JSON API they provide. In the UK the MetOffice offer free weather observations and forecasts via their DataPoint service. This could be used for a variety of rules relating to external weather conditions. To obtain MetOffice observations in OpenHAB you’ll first neet to get an API key from the MetOffice datapoint service by registering with them. You’ll have to manually find your closest site from the list of 140 or so. My nearest site is Filton – so I will use ID 3628. Once you have working URLs you should get a load of JSON data ready to feed into OpenHAB. First you’ll need to setup your transform. Create a new file in the configurations/transform directory. I called mine metofficeLatestObsTemp.js. Copy the following into it. You can replace T with any of the data types listed in the metoffice documentation to get other information such as wind speed, direction, humidity, etc. You can now add this to your sitemap and display it in the openhab interface. We recently had a new boiler fitted with the Salus RT500RF controller. I’ve been playing around with a lot of home automation recently involving LightwaveRF, RFXCom unit and OpenHAB. 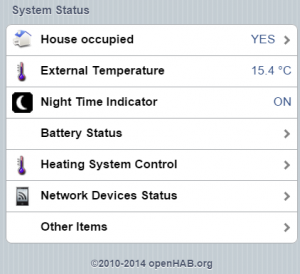 Having temperature monitoring in my lounge and bedroom I really wanted the option to be able to control the boiler allowing the OpenHAB control system to decide when to enable the boiler based on factors such as room temperature, time of day and outside temperature. No guarantees this won’t screw things up for you but it works for me. I saw in a forum post that glycogen stores can affect weight in quite a significant way. A quick search caused me to stumble across the article link below. It’s an interesting and enlightening read – and encouraging, especially after the festive season! The aim of this project was to get my MediaPC running as a VM host. This would allow me to run instances alongside my MediaPC, thus giving me a platform to experiment and develop things without having to setup separate machines etc. I decided to use Xen on Ubuntu and found the Ubuntu Xen guide very useful. Note: I never got this working – this is just documenting what I did and how it failed. Now pushing to the Git server works – yay!